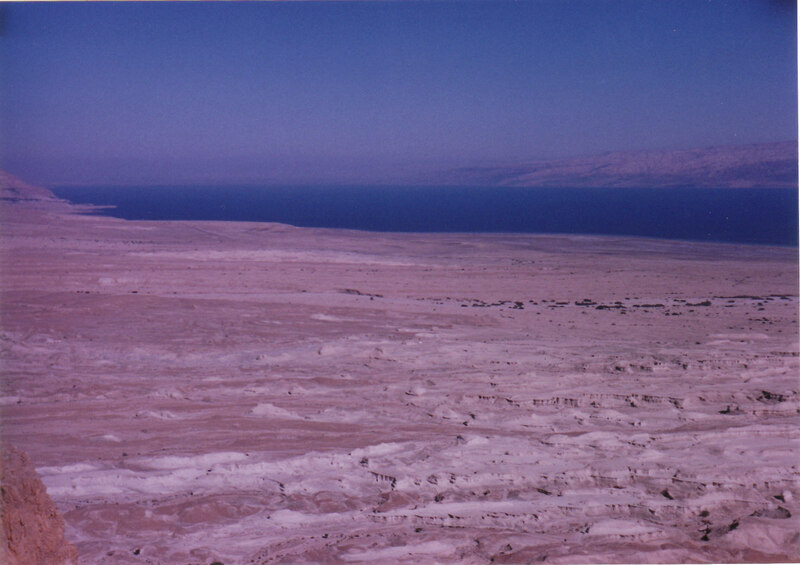 A view of the Dead Sea. When I was a younger man, I spent some time as a night nurse for my adopted grandfather. Because of his health, Ralph’s doctor placed him on a low salt diet. His wife, Frona, in an effort to monitor his sodium intake, would fry the bacon after she had boiled it, removing any trace of seasoning. I will never forget the morning he lifted a piece of the anemic breakfast meat to his mouth and began to cry. He was tired of taking pills. His legs were weak and he could barely walk. His body was broken and his spirit defeated. The meat dropped back to his plate and he wept. There is a single mother who is struggling to raise her children on her own. A husband who has given up trying to understand his wife’s ever changing demands. The family who shouts more than they hug. A divorced man who goes to bed each night with a cold beer but without a family. A couple who share a home but feel alone. A widow who sits by herself watching the late night news and wishes for the familiar sound of a her late husband’s voice. I am sure you have met these people. They are people who live down your street. They simply have different names. And these same people were living in the villages Jesus walked each day. He taught his disciples about people just like these. Some were poor. Some were meek. Others were sad and lonely. All wanted their lives to have meaning. Jesus calls us to be the Salt of the Earth. What was true in Jesus’ day is still true in ours. Salt is used to heal, it is used to preserve, and it is used to enrich flavor. Jesus instructs us to be Salt – we are to offer healing, preserve the truth, and flavor the lives of our friends and family. This only comes through God’s amazing love and grace, reflected in our own lives. So the question is important. The concern is real. Have you offered healing to the neighbors on your street? Have you maintained truth in your job? Have you enriched anyone’s life today? Has your life impacted the lives of others? Do you deliver meals to one who is sick? Do you visit a nursing home resident? Are cookies available for the neighborhood children? Have you offered to watch your neighbor’s baby, providing a much needed hour of rest? Do you hold the hand of one who is lonely? Do you offer comfort to one who is hurt? Are you the Salt of the Earth? ing and whatever we can do for in the future of our on-going meetings. I really like all of your work here, but have not had time to read them all yet.